Alcohol is just as much a part of the American culture as apple pie. Many in our culture love cracking open a cold one or gathering for Happy Hour after a hard day's work. Drinking in moderation is popularly thought to improve our overall health, most notably by preventing cardiovascular disease. Alcohol, however, is not a health food, not even in moderation. It's more than just the liver that is harmed by alcohol consumption, it's the entire body. 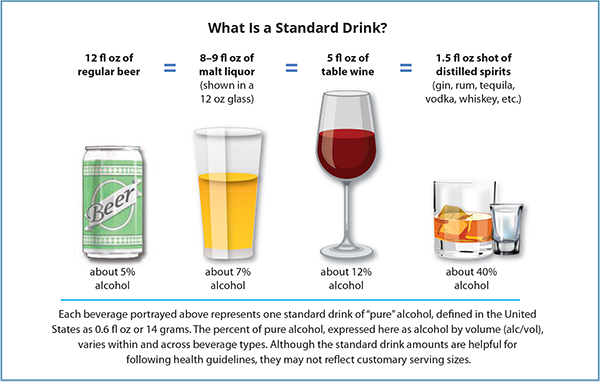 The healthiest amount of alcohol to drink is none, if your goal is to achieve optimal health. To learn more about alcohol's effect on these cancers read my article below. Chronic moderate drinking can also increase your risk of liver disease—both cirrhosis and non-cirrhotic liver disease.2 As little as 30 grams per day of ethanol ingestion was found to be the threshold for the onset of liver damage, regardless of gender. One alcoholic drink (as shown in the picture above) contains approximately 14 grams of alcohol. So, two drinks would be just under the threshold for developing liver disease. 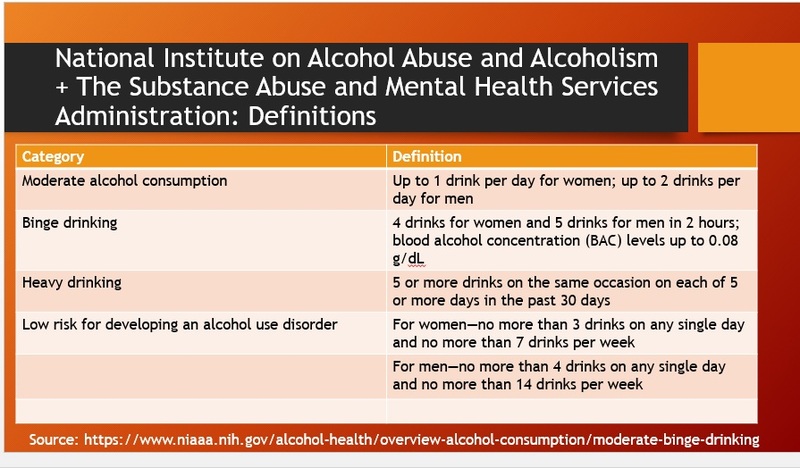 Alcohol use can become habit-forming for many. It's very easy to sit down each night with a glass of wine or cold beer as you wind down your evening. However, as you can see, even moderate drinking can cause serious health risks. Abstaining from alcohol, or drinking lightly only on special occasions, like a wedding or anniversary, is your best path towards optimal health. You don't have to say never when it comes to drinking, just use it as a treat if you choose to consume alcohol at all. 1 O'Keefe JH, Bhatti SK, Bajwa A, et al. Alcohol and cardiovascular health: the dose makes the poison…or the remedy. Mayo Clin Proc. 2014 Mar;89(3):382-93. 2 Bellentani S, Saccoccio G, Costa G, et al. Drinking habits as cofactors of risk for alcohol induced liver damage. Gut. 1997 Dec;41(6):845-50.